Cove base corners can often be a challenge, so let us simplify your life by making them for you! Vinyl wall base is an ideal way to protect your walls. Installing vinyl wall base will also add a finished feel in any room. Vinyl wall base with .080" thickness is perfect for use in residential areas. 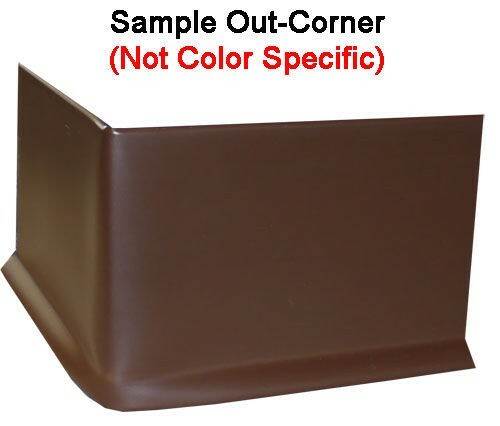 Find cove base corners offered in Johnsonite's standard 36 colors. 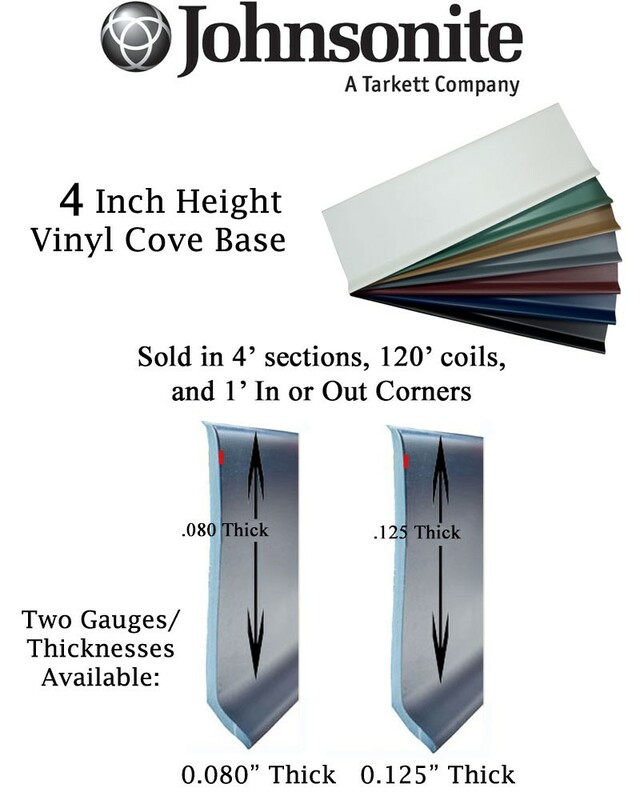 Our cove base corners are a cost effective choice no matter how many or few you need. When selecting the profile of your cove base corners you will want to match the rest of the vinyl wall base that is being installed. For instance, if your vinyl wall base has a toe then you will want cove base corners to have a toe as well. There are many vinyl wall base installation tools available to facilitate your next installation project. For help with the cove base corners installation process you can view Johnsonite's installation video. You can also view our short videos showing just how vinyl wall base out corners as well as in-corners are made at our warehouse. You can use the cove base corners with 4' sections or 120' coils with the same height and thickness. Stock will affect lead time, which typically takes 1-3 weeks. Please call 866-258-1554 to check stock and shipping time. Color can affect price. 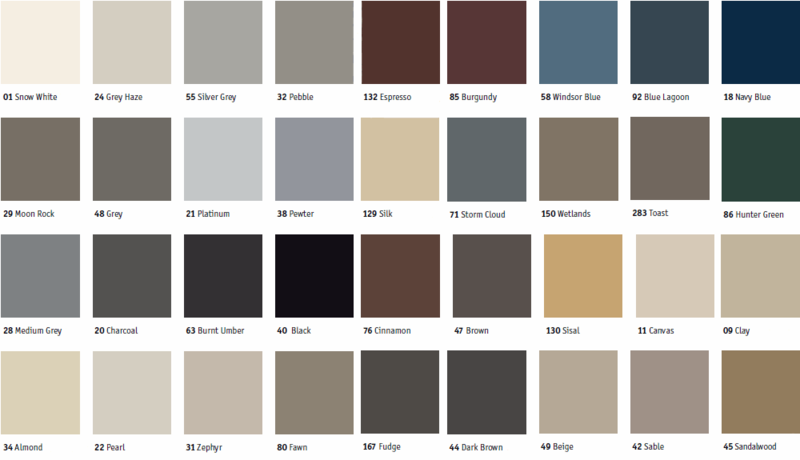 Please choose color to see updated cost. In corners can also be made, simply request in corners instead of out corners in the customer notes section of check out. 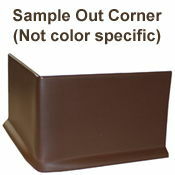 Cove base corners add a professional look to your trim and are easily applied.